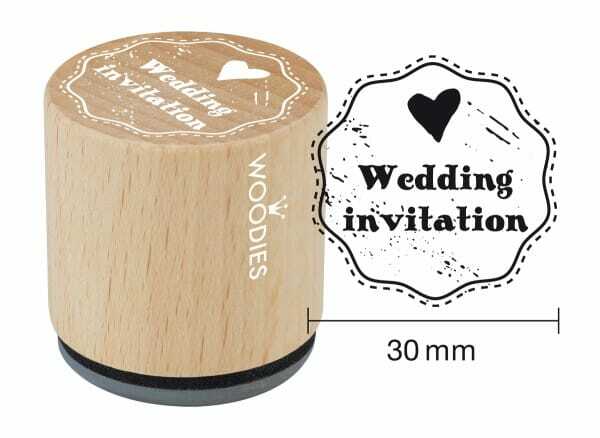 Let everyone know in style about your big day with the woodies stamp featuring 'wedding invitation' wording and a love heart design, Made from beech wood and 100% natural rubber, the dainty 30mm stamp will give each invitation a charming finish. The woodies stamp will be sure to put a smile on each recipients face. Customer evaluation for "Woodies stamp Wedding invitation 1"